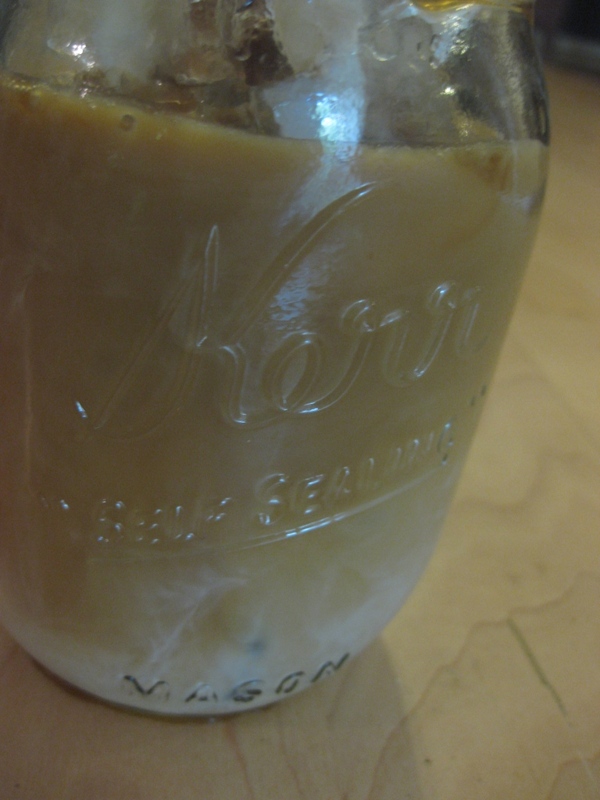 In the summertime, I love iced coffee every day. Sometimes I pour myself a hot cup of coffee and I cannot even finish it before I am starting to sweat, so I just go on and ice it first thing in the morning. Those are the kind of days we’re having in Arkansas right now. In the South, we still drink hot black coffee at 100 degrees, but when it gets to be 111, well, now it’s too hot for coffee. One by one, the kids have all tasted and started asking for iced coffee too, so I have to make it when they aren’t looking or everyone wants one. Sometimes, I will be nice and make extra since it is so easy to make it yourself and a much better value than if you buy it. 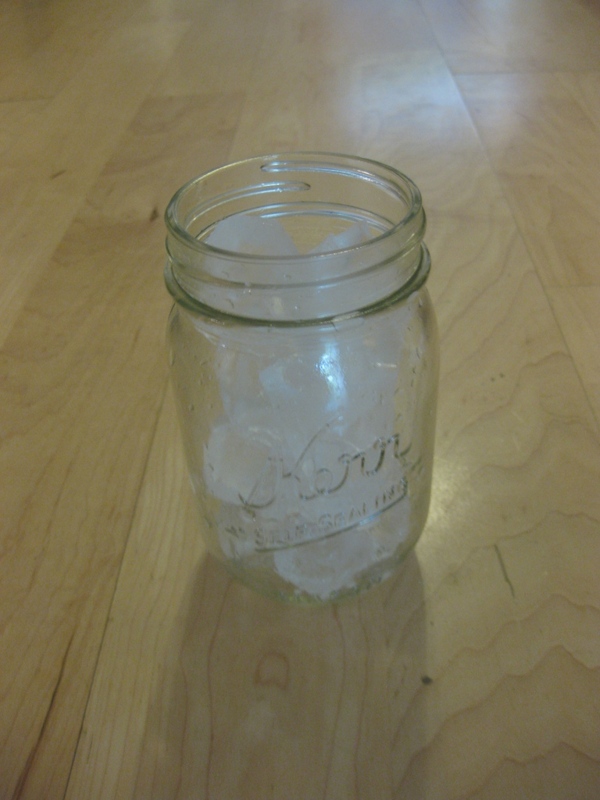 Here’s my iced coffee routine. 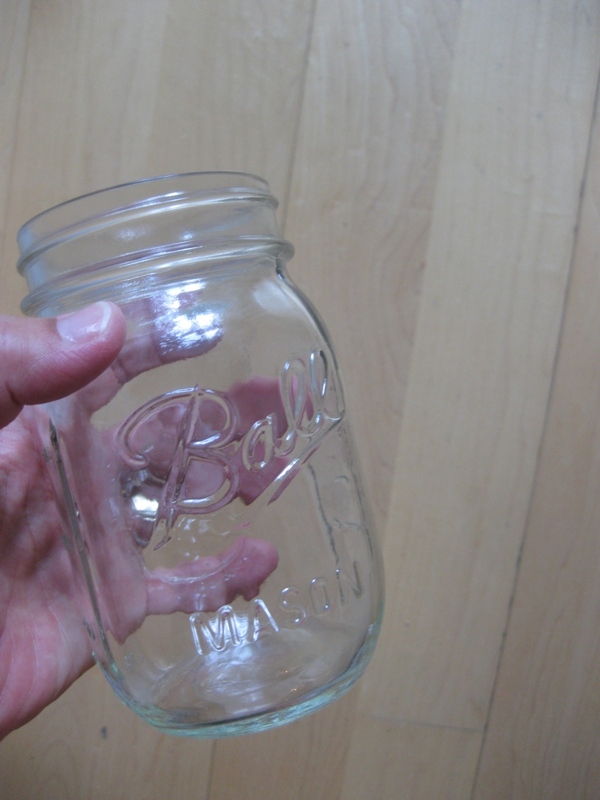 I use a mason jar. Fill it with ice. Put whatever you want to mix in in the bottom. 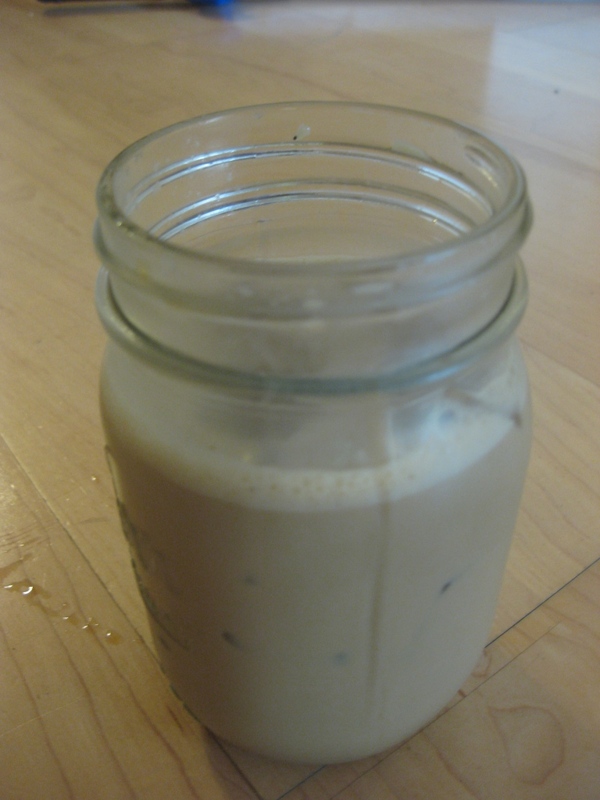 I use vanilla soy milk for sweet iced coffee and plain cream for not sweet. You could also add another kind of sweetener here if you like your iced coffee sweeter. I love how when you shake it up, it gets a little foamy on top.